The Good, The Tough, & The Deadly Action Movie Compendium | Nerd Much? 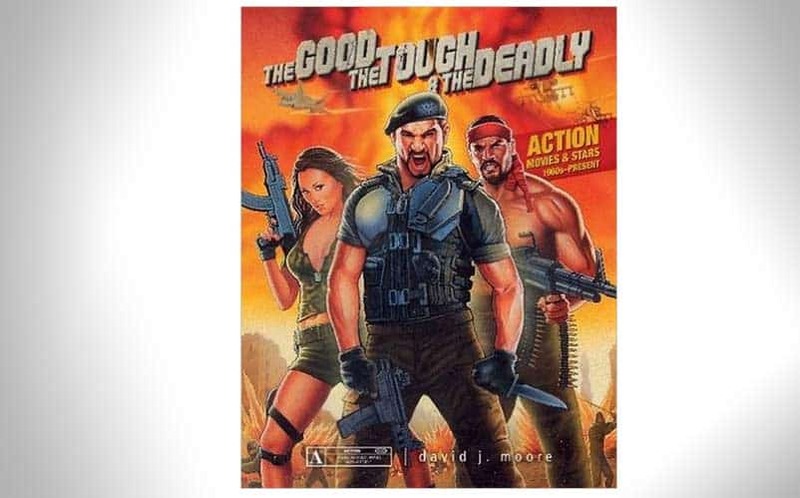 It’s no secret that we’re lovers of action movies here at Nerd Much, and if you want to learn virtually all there is to know about the genre, you’re going to want to check out The Good, the Tough & The Deadly by David J. Moore, a massive helping of all things Van Damme, Stallone, Seagal, and more iconic action movie stars (and the movies they’re in). The hardcover book contains over 560 pages of action movie goodness, serving as a movie reference guide for the genre. In its pages, you’ll find overviews, interviews, and tons of tidbits of information about the action film genre, ranging from the movies and stars of the 1960s to present day. It covers a plethora of movies ranging from Ablaze to Zero Tolerance, delving into some true classics (and not so classics). It’s a high quality, near textbook-like collection that serves to both entertain and teach, and it’d make for a great nerdy coffee table book.